Ad for Texas Tech University. 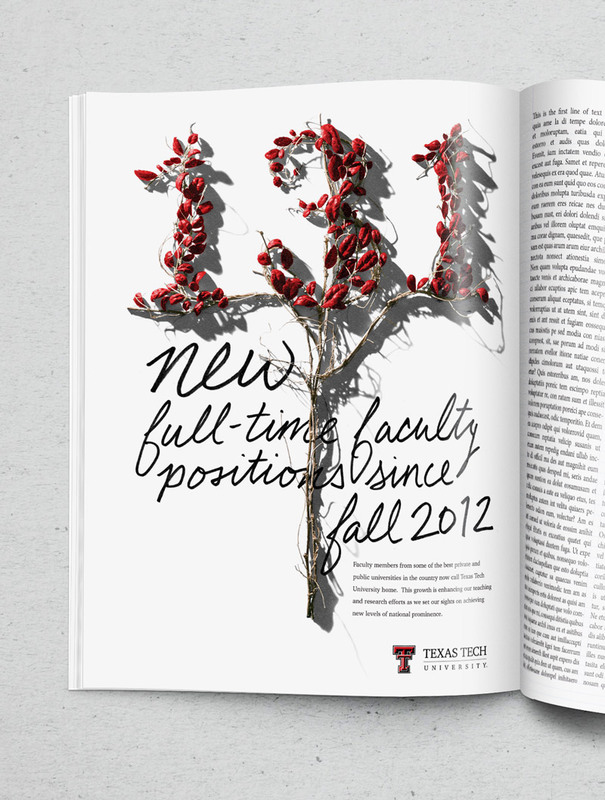 It focuses on the growth of the university and the addition of 131 full-time faculty positions. 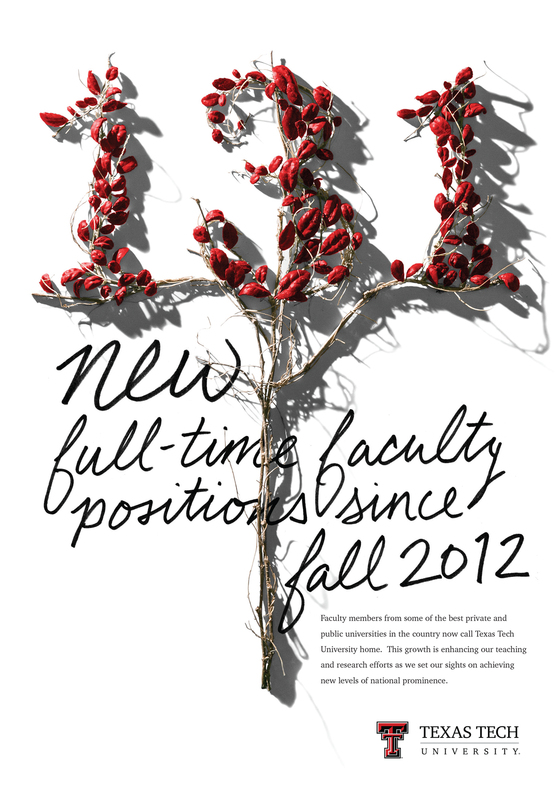 The design contains 131 leaves and some twigs from campus.